This image was taken from the west side of the Gorge near PineWood Lodge. Dehgayasoh Creek would be to the lower left. 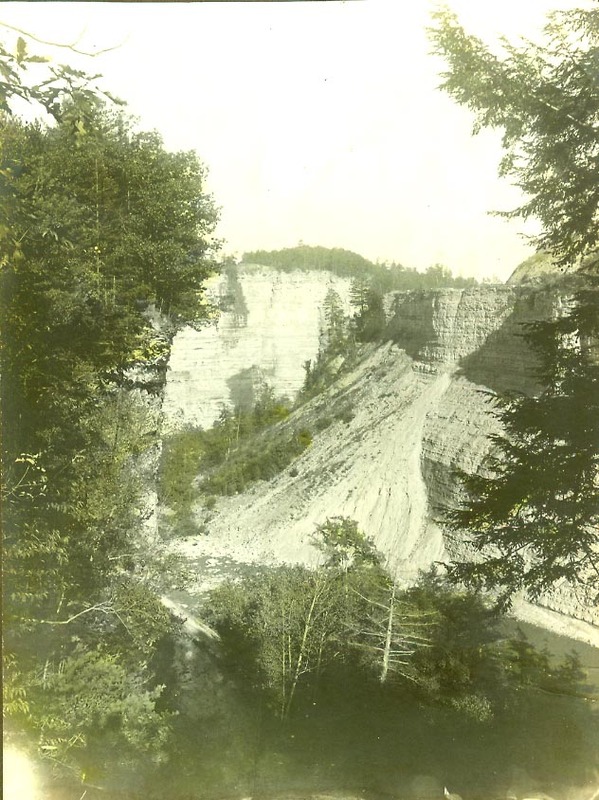 Across the gorge, at the top of the cliff is the man-made "shelf" that was created for the Genesee Valley Canal. At the time of the photograph, the Pennsylvania Railroad ran along the ledge. Note the debris in the gorge at the bottom of the opposite cliff. The talus was formed in the 1840's when the Canal was being constructed. Floods have eroded, but not totally erased, this physical reminder of the past.